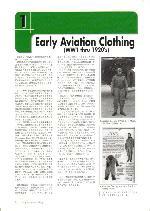 Front page of the chapter on early aviation clothing. 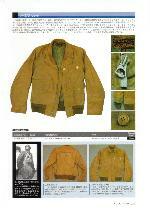 Page on the right shows a B-1 suit with Chinese dog fur lining dated 1918. 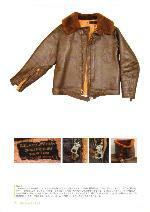 Every item shows as much detail as possible. 1st. and 2nd. 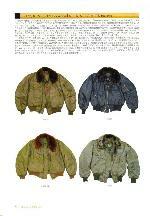 patterns of AAC's B-1 jackets in the early 1930's. The right one still has the original pocket on the left breast. 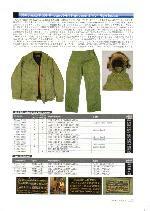 Every item is listed with its contract/order number, guessed fiscal year, manufacturer's name, and some more information. 1st. and 3rd. 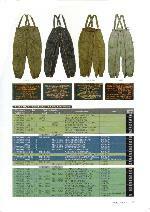 patterns of early A-2 trousers which were originally made for a complete outfit with the B-2 jacket. The left one has silk pile lining and the other has wool blanket lining. Early rare B-3s with 1937 and 1938 dated labels. 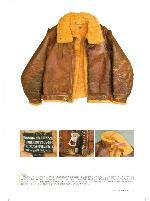 B-15 and A-11 outfits with nylon shell around 1950. The secrets of OD color have just been revealed. 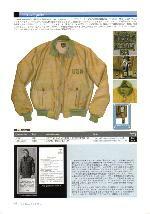 Extremely rare Navy jackets from the 1930's are introduced as well as later G-1 jackets. 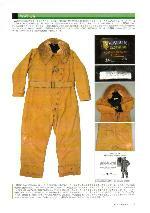 Navy's unpopular flying clothing is also listed as possible. 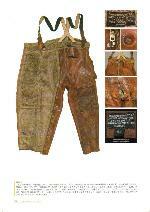 Also shows some non-flying clothing from the 1930's with little information included from origanal catalogues. 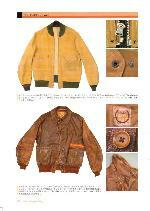 For over 25 years, I have been a researcher and collector of vintage US flying clothing. 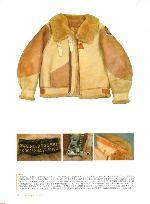 My interests are both of US Army (Air Force) and US Navy, especially the items in 1920-1930's. 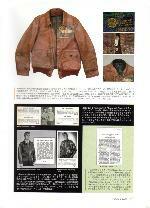 I published a book on them at my own cost in Japanese language with some valuable information that I have researched at NARA, archives in NASM and other famous museums in US. Below is a detailed brief description of my book. a focus on 'when was it made? 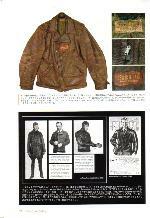 dozens of 1920-1930's valuable, unpublished B/W photos and about 70 scanned documents such as specifications, etc. Q1. 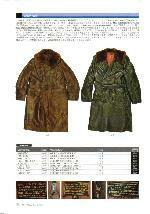 Are you going to publish English edition? Q2. Would you ship your book outside Japan? A. It depends on your country. I ship it to US, Canada and European countries. No exception, sorry. Regarding payment, I accept only International Money Order in Japanese currency. 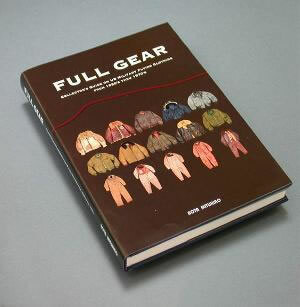 Please remember that the most part of my book is described in Japanese except for tables and captions of the photos. 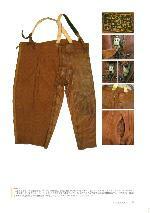 -After arrival of the money order, we will ship it soon. It takes about 7-10 days to get to you. Q4. How did you guess the fiscal year of each contract/order number ? A. I have been compiling thousand of contract/order numbers that were seen on the labels of the each item actually. I guess the coverage of my compiled data would be over 95%. Sometimes you can find its date on small tabs or on un-issued package of the contract number. And published dates of specifications are also useful to fix their range of the contract date.О╩ This is how I guess every contract numbers' fiscal year. Anyway, remember that span of the fiscal year of US government before 1976 was from July 1st. to June 30th. So if a guessed fiscal year is 1940, the contract date might be 1939 or 1940. Q5. 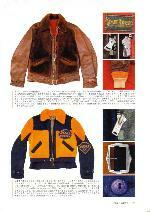 Do you have retail catalogs of the items? A. No. Basically I don't sell items at present time. Q6. May I use your data or photos on a publishing book or on a web site? A. You can use them when you get prior permission and proper credit to "FULLGEAR.net". Q7. I have some rare items. Would you buy them? A. I don't buy items. 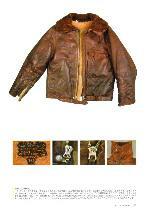 If you can find it on Bell's Aviation's want list, please contact them.